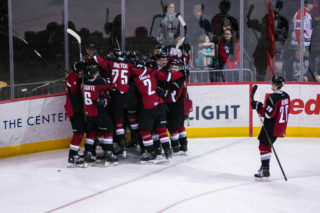 Friday night in Portland, OR the Vancouver Giants (32-13-2-1) suffered their first regulation loss in a span of 11 games. 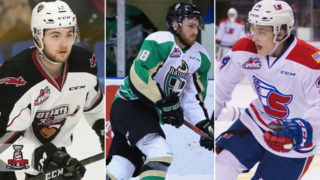 Reece Newkirk scored twice and Joachim Blichfeld added a goal and an assist as the Portland Winterhawks (31-14-3-2) downed the Giants 3-0 at Veterans Memorial Coliseum. Shane Farkas turned aside all 24 shots he faced in the Portland net securing his fourth shutout of the season. Trent Miner stopped 26 shots in response for the Giants. POR – Joachim Blichfeld opened the game’ scoring at 8:48 with his league-leading 43rd goal of the season off a spin-and-shoot play from the slot. Jake Gricius and Josh Paterson drew the assists. POR – Newkirk (20) struck again at 19:16 into an empty net, rounding out the scoring for the Portland Winterhawks. Mason Mannek and Jake Gricius assisted on the play. Portland: 0/2 on the Power Play. Vancouver: 0/1 on the Power Play. 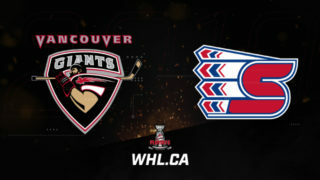 Next Giants Game: Tomorrow night at home against the Prince George Cougars at 7 PM. 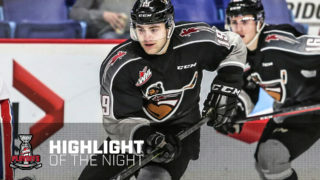 Friday’s loss marked the first regulation loss for the Vancouver Giants since January 4th (Lethbridge) – A span of 11 games. 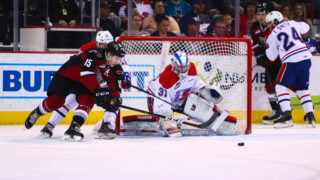 The Vancouver Giants have only managed a single power play in four of their past eight games. The Giants will head into tomorrow night’s game against Prince George with a 15 point lead on Victoria for first in the B.C. Division.